Complete your DOR Books & Supply Request form online. Mission: To guide students in career planning with employment services including: pre-employment, placement and retention services. 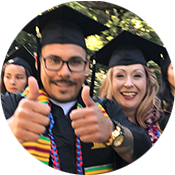 WorkAbility III (WAIII) is a cooperative partnership between Gavilan College and the Department of Rehabilitation Services (DOR). 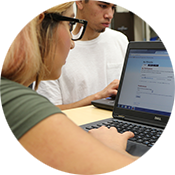 The purpose of the WAIII program at Gavilan College is to serve students who have an Individual Plan. The specialized services offered by WAIII are designed as pre-plan and in-plan services; they are not offered elsewhere on campus. DOR Counselors will make referrals to the WAIII program. The program provides job readiness training, job placement and retention services for individuals who receive services from the DOR. We strive to provide opportunities for students to reach for and obtain their highest occupational goals. WorkAbility III strives to bridge gaps by working with DOR, DOR students, Accessible Education Center students, private and public employers and other non-profit service providers. DOR offices from the San Jose District have opportunities to utilize WAIII services for their clients. Occasionally, referrals may be received from DOR offices outside of the San Jose District. WorkAbility III develops vocational plans to address the individual's skills, abilities and interests while meeting the needs of local employers. Additional benefits based on individuals hired. Upon receipt of written referral and medical documentation from DOR, WAIII will provide students with vocational assessment / career exploration services. Vocational assessments will assist students in understanding their own strengths and weaknesses in order to make an informed choice about meaningful career goals. Individualized employment preparation is provided to each student. Guidance 530, Classroom Training in Job Readiness Skills, is offered to all students. Goals and objectives for the course include exploration of skills and abilities, interests, lab or market projections, and disability issues, as they relate to career goal(s) for themselves and the steps they need to take in order to accomplish their goals. Students will have the opportunity to meet with the course instructor and DOR Counselor and be able to identify potential occupational choices that can be used for individualized employment plan development. The Job Developer will individualize the job search process and identify appropriate employment opportunities based on the students strengths and needs. These services may include assistance in preparing cover letters, tailored resumes and interview strategies. Opportunities for internships, part-time work or volunteer positions to increase work experience are also available. WAIII Vocational Specialist provides job-coaching services and assists students until no intervention is necessary for the student to perform the job task independently. The WAIII Vocational Specialist may also provide job retention services for the students who are employed. The WAIII Vocational Specialist will provide supervision and follow-up services for on-site training for the student in each of the communities served. WorkAbility III develops vocational plans to address the individual's skills, abilities and interests while meeting the needs of local employers.